A detached family house with extensive grounds, located within a private Surrey estate. 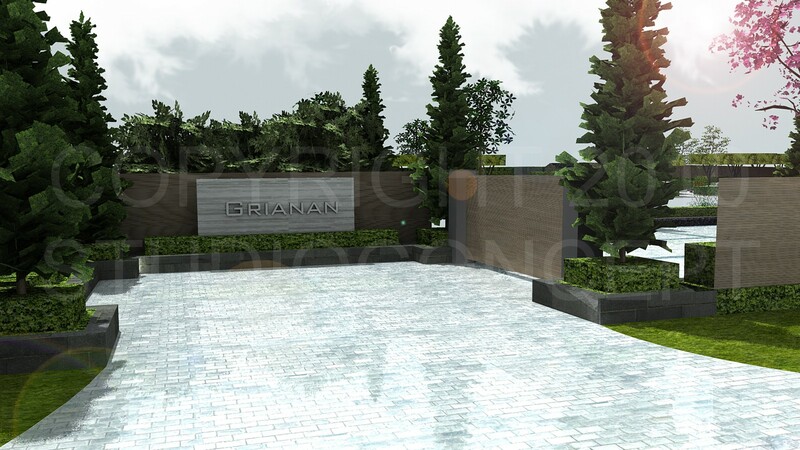 The arrival is initially through a bespoke gated entrance with feature wall with modern boundary treatment. 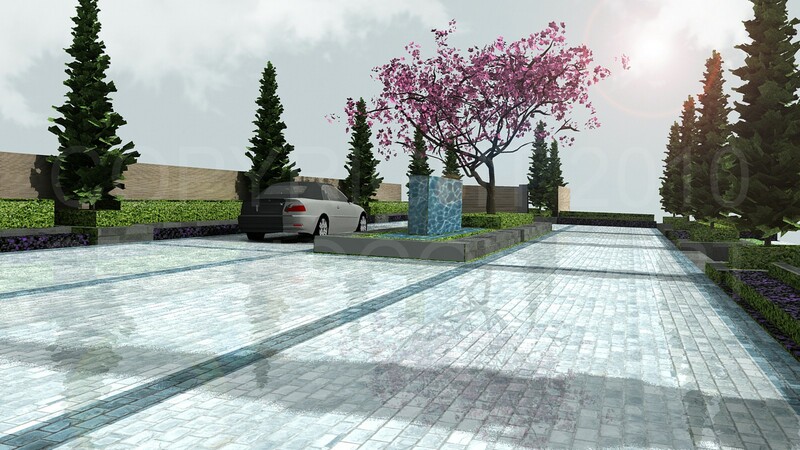 The driveway makes use of granite setts and centres onto a water wall feature with specimen tree’s and clipped planting. 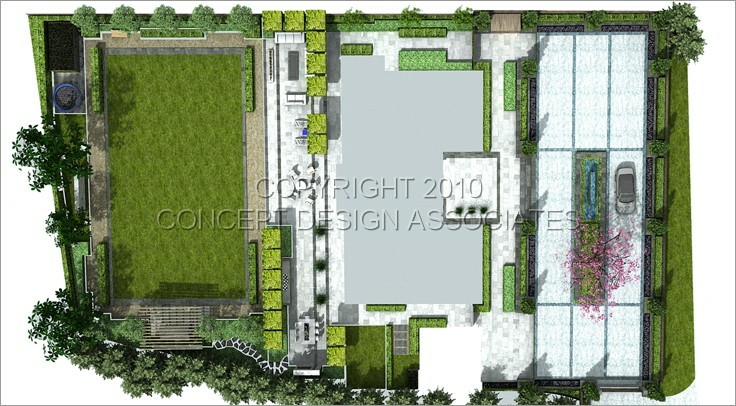 The rear garden has a feel and mood in line with hospitality spaces found in high-end hotels or resorts. 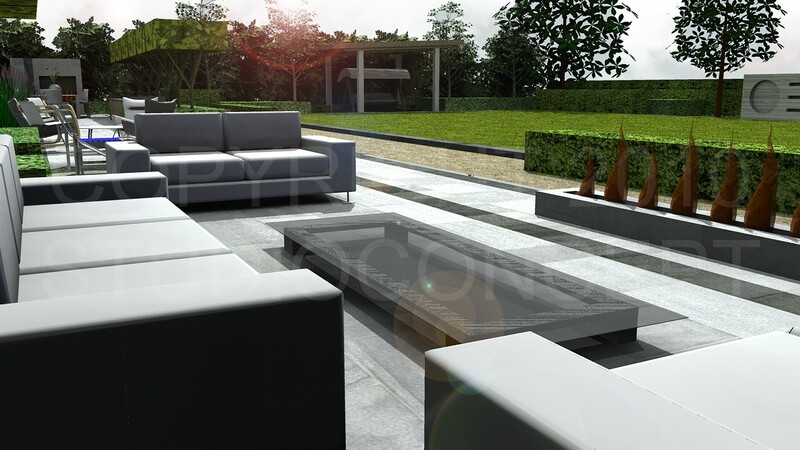 A terrace is cleverly organized into an outdoor lounge, sun and also dining terrace that includes firepit, fire place and water features. 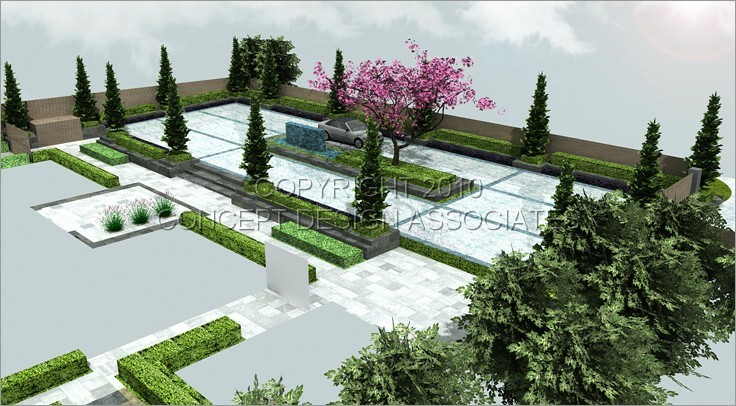 The formal lawn is defined with clipped tree’s, hedges, seating and shelter with a focal being a modern sculpture on an central axis all help to create a restrained formal modern landscape.